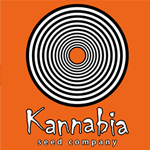 Kannabia Seeds - Baby Boom Auto. Free US delivery. This is a new variety of Kannabias auto strains: BABYBOOM!! As its name suggests ... a tiny but tough one. This little and powerful plant is the result of a cross between Rudelaris and Northern Light X Blueberry. The Northen side emphasizes the cross with touches of pine, earth and old wood. However, when crossing with Blueberry, the Blue essences mix among them resulting in dry and sweet-and-sour aromas which recall us plum jam. This plant will bombard you with very cerebral effects, mixed with a significant muscle relaxation, which will be increased if you aren't physically active. 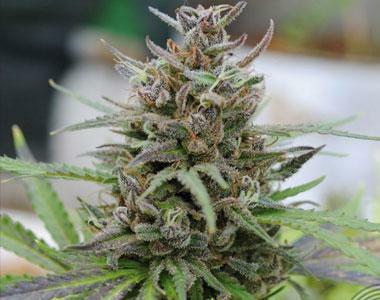 The size of the plant is medium- high with a short internodal distance and a continuous production of buds and broad leaves of an intense dark green colour (mini indicas). The cross of these genetics produces an easy-to-grow variety, but quite sensitive to over fertilization. For this reason, light slow release fertilizers will be ideal to finish growing without a problem.